York Curiouser ran a series of events in June 2015 in partnership with the Festival of Ideas. These events formed part of our research and development to see if it was possible to create another large-scale York Curiouser. See images of our events here. Booking is not essential unless it is specified. We can not be responsible for last-minute alterations so please check with the venue before travelling. Follow @yorkcuriouser on Twitter for regular event updates. Drawing on examples from his ‘walking work’ as well as more recent participatory projects, artist Simon Pope will talk about how we can form new types of community through engaging with material aspects of the city. Simon Pope’s recent artwork has focused on walking as a model for processes of dialogue and negotiation. 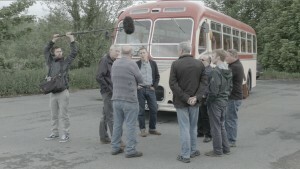 Often this has involved walking and talking with others, such as in the film Memory Marathon (2010) originally commissioned by Film and Video Umbrella, recently screened at the Whitechapel Gallery, London and A Common Third (2010) exhibited at Danielle Arnaud, London. This work has also explored how objects appear within dialogue, such as in Carved From Memory (2009) at Spacex in Exeter and The Outlier at the Rotunda, Scarborough. These ideas form the basis of Pope’s doctoral study at the Ruskin School of Fine Art, University of Oxford, which focuses on exploring assemblages of human and nonhuman things through dialogic art practice. Pope represented Wales at their inaugural exhibition at the Venice Biennale in 2003 and has exhibited at numerous venues nationally and internationally. Simon will provide a catalyst to discuss how we develop York Curiouser 2016. Through questions and discussion with the artist, this is an opportunity for the audience to participate in York Curiouser’s research and development. York is a treasure trove of medieval stained glass. Glass is a wonderful thing to write about: it can twist, bend and split light. It can discover vision and mark our separation from the outside world. In this workshop we’ll take inspiration from the history and process of glass making in York to discover the way poems can shift from being transparent, to coloured and even opaque and secretive. Suitable for aged 18 years upwards. 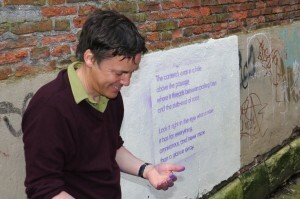 York Curiouser has commissioned John Wedgwood Clarke to write a new poem inspired by York’s medieval stained glass which will be stencilled on a hidden passage in York as part of the re-installation of the York Curiouser 2014 series of poems ‘In Between’. This workshop will enhance your understanding of this site-specific series of poems and forms part of York Curiouser’s research during 2015. John Wedgwood Clarke is a lecturer in creative writing at the University of Hull. He regularly works with curators, scientists and artists on public art projects. His first full collection Ghost Pot (2013) was described as ‘a masterpiece that rewards continual rereading’ by Bernard O’Donoghue and has been selected by New Writing North for Read Regional 2015. Recent poems have appeared in PN Review, Poetry Review, POEM, The New Statesman, Best British Poetry 2012 and Poetry Wales. John is also UK & Ireland Editor for Arc Publications. York Curiouser poet John Wedgwood Clarke will read poems about York and the Yorkshire landscape including work from his 2013 collection Ghost Pot described as ‘a masterpiece that rewards continual rereading’ by Bernard O’Donoghue and selected by New Writing North for Read Regional 2015. This reading is part of York Curiouser: the city explored through contemporary art interventions. York Curiouser has commissioned John Wedgwood Clarke to write a new poem inspired by York’s medieval stained glass which will be stencilled on a hidden passage in York as part of the re-installation of the York Curiouser 2014 series of poems ‘In Between’. This reading forms part of York Curiouser’s research during 2015. 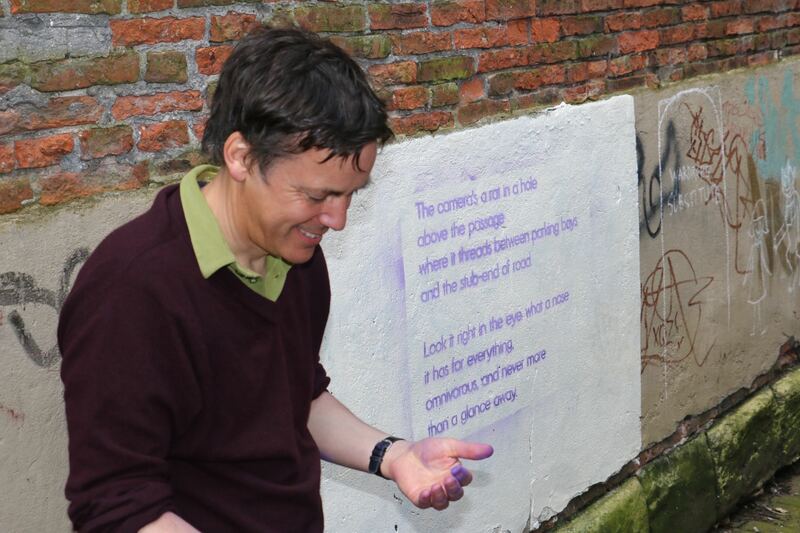 York Curiouser’s Co-Artistic Directors Hazel Colquhoun and Lara Goodband will guide you round In Between, the series of poems by John Wedgwood Clarke stencilled on the walls of York’s hidden passageways. In Between was originally installed in June 2014 to great acclaim. This year, York Curiouser has commissioned John Wedgwood Clarke to write a new poem to add to the collection, inspired by York’s Medieval stained glass. 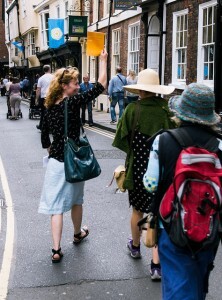 This walking tour forms part of York Curiouser’s research during 2015 and gives participants the opportunity to say what they would like York Curiouser 2016 to look like. Please meet in the paved area in front of the West Entrance to the Minster near the miniature model of York. Please note this walking tour will involve walking at a steady pace throughout York’s medieval city centre on uneven pavements. The route will include steps and slopes. Please wear appropriate footwear and dress for the weather. Join York Curiouser’s Co-Artistic Directors Hazel Colquhoun and Lara Goodband with a panel of curators, artists and academics including Nayan Kulkani, artist, John Oxley, City of York Council City Archaeologist, Professor Michael White, University of York, Dr Claire Hind, York St John University, who will discuss and present ideas about the Medieval city as a canvas for contemporary art. Chaired by Dr Kate Giles, Deputy Director, Humanities Research Centre and Senior Lecturer in Archaeology, University of York. York Curiouser was initiated and is curated by the independent art curators Hazel Colquhoun and Lara Goodband. York Curiouser explores the city through contemporary art interventions. The first year of on-site contemporary art interventions took place from 14 June to 7 July 2014. This year York Curiouser is developing, researching and raising funds to create the next series of interventions in June 2016. This panel event will re-engage people with York Curiouser and prompt discussions about what could be seen and experienced in 2016. Nayan Kulkarni is a multimedia artist whose work engages with ideas of site specificity, time, technology and perception. John Oxley is the City of York Council’s Archaeologist and an expert in working with contemporary artists in historic spaces. Dr Claire Hind is Associate Professor and Course Leader in Theatre & Performance at York St John University and a leading contemporary performance creator and writer. Professor Michael White, History of Art, University of York,has published widely on twentieth century art, particularly the European avant-gardes and curated exhibitions at Tate Modern and Tate Liverpool. Griselda Goldsbrough, visual art education specialist, which will encourage children and their carers to explore colour, shapes and words. Using transparent materials, participants will create their own unique art that includes a secret poem hidden inside.